Strategies for correcting misinformation about the dangers of vaccinations have the opposite effect and reinforce ill-founded beliefs, suggesting that public health campaigns need more testing, a study says. Current strategies for correcting misinformation about the dangers of vaccinations have the opposite effect and reinforce ill-founded beliefs, a study suggests. 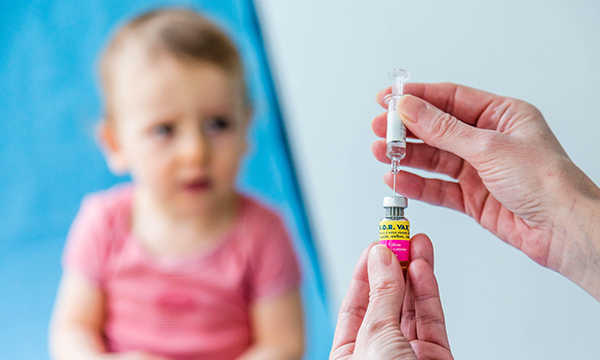 Presenting scientific facts to disprove misconceptions was found to actually strengthen unfounded opinions, such as that the measles, mumps and rubella (MMR) vaccine causes autism, it says. Similarly, showing images that suggest unvaccinated children can develop disease inspired the strongest belief that vaccines had harmful side effects. A survey of 120 people in Scotland and Italy measured attitudes towards misconceptions about the MMR vaccine and asked them whether they would give the vaccine to their child. The participants were then divided and presented with different approaches to combat misinformation about vaccines. One group was shown a leaflet that confronted vaccine myths with facts. The second group was given a series of tables comparing potential problems caused by measles, mumps and rubella with potential side effects of the MMR vaccine. A third group was shown images of children with measles, mumps and rubella. The fourth group acted as a control and was given unrelated reading material. After these interventions, participants re-took the survey to see if their attitudes had changed. A week later, they took it a third time. Researchers found that all of the strategies were counter-productive. Belief in vaccine myths were strengthened and the likelihood of vaccinating children lessened. This effect only increased over time. The findings suggest that public health campaigns need more testing, according to the researchers, who recommend a variety of simultaneous and frequent interventions as opposed to a single campaign.